Defined as one of the leading providers of bespoke and marine recruitment management services, Alliance Recruitment Agency is going to offer you with incredible workers, for impeccable results. Whether you are looking for the deck officer or the deck rating, there are loads of candidates available. It is time for you to join hand with our headhunter marine and catch up with the required name in this category. Not only that, but we are happy to help you with the engine rating or engineering officer recruitment. So, without any further ado, let’s jump right into the services of our marine headhunters now. Our team is all set to offer you with the best maritime industry employers, which are related to ongoing crew management services. These experts are known for their local knowledge and required expertise for the management and recruitment of the top form of class international crew. Join hand with our headhunter marine and you can always choose to get the best recruitment services of all time. We are here to help you make the right selection with candidates, too. Browsing the internet will force you to come across so many marine headhunters. It is mandatory for you to choose the right one, ready to offer you with comprehensive help. And for that, our name leads right at the top. 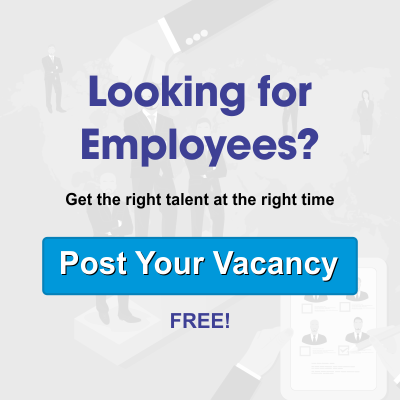 We are here to help you find the right candidates with experience by their sides. That helps us to select the finest officer for managing your deck, and more. Working within the crucial geographical region helped us to offer a multitude of marine recruitment packages. These start from the interview process to arrangement of the local seafarer medicals. We have not restricted our services in this sector, but has some specialized marine training related to it. Our team of significant marine headhunters would like to help you spot the finest local market trends, such as fluctuations in the salary scales of the seafarers along with some variances in the current crew demand. These services from our side are considered to be useful to the current shipping industry employers. So, join hand with our head hunting team, and you are all good to go. Starting from the initial advertisement services to ensuring a proficient successful crew, we are ready to offer you with comprehensive services, in every step you take. There are multitudes of reasons to choose our team over others. Well, you can always rely on our marine headhunters for the effective response. Even if you have any crucial needs in mind, we are happy to sole the same for you. That’s what makes us different from the rest. Our services start from the beginning of the advertisement services, followed by the CV response management package. On the other hand, you can catch up with us for the certificate sighting and reference checks. We have a special team of members working on the face to face or telephone interview sessions. We can help you with the pre-employment check services too. From marine medical check to the criminal background, you can rely on us for every step possible. Our recruiters are definitely going to make the best team, when it comes to headhunting for the marine departments. We are fast and our services are effective.